Maddin, Hauser, Wartell, Roth & Heller P.C. Lowell Salesin is Vice Chair of the Real Estate department. He represents some of the industry’s leading REITs and private developers in their respective market sectors. Lowell has more than 20 years of experience representing retail, office, self-storage, multi-family, and manufactured housing developers in acquisitions, financing, construction, development, and leasing transactions related to properties spanning across the United States. Lowell has extensive experience in representing private equity investors in real estate joint venture and fund formations and in equity and debt investments and regularly representing both borrowers and lenders in all types of financing transactions, including CMBS and agency loan transactions. His representations include portfolio acquisitions, joint ventures, property-level secured financing, multiple property credit facilities, corporate level unsecured financings, private placements, and loan workouts. 2018 – "[Lowell] has 'a very robust practice' that includes advising REITs and private developers. His expertise spans office, retail and multifamily developments and he regularly advises on acquisitions and financings." 2017 – "[Lowell] is held in very high regard in the market. One client says he is 'honest, loyal, and has a very good way of getting you what you want and not upsetting the other side.'" 2016 – "[Lowell] is 'extremely hard-working, very thorough and great with clients.' He is well versed in the negotiation of financing and leasing deals as well as the construction and development of commercial property for retail and housing developer clients." 2015 – "[Lowell] draws praise from sources for his 'detail-oriented' approach and for being a 'very strong advocate for his clients.' He is recommended for his work on behalf of developer clients involved in retail and manufactured housing." 2014 – “[Lowell] represents both owners and developers in a wide range of matters, from acquisition and financing to development and leasing. He is praised by clients as 'one of the best real estate attorneys out there,' who 'understands the big picture and knows how to get to the finish line.'" 2013 – "Highly regarded practitioner Lowell Salesin 'has a great reputation' in the market. He focuses on real estate development and finance, and is particularly active in the fields of acquisitions and lease restructuring." 2012 – "[Lowell has] significant experience in representing owners and lenders in acquisitions and lease restructurings. 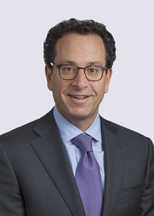 He is described by commentators as an 'extremely good real estate lawyer.'"